A/Professor Louise Hickman expertise is in both quantitative, qualitative and mixed methods research which is grounded in her qualifications in Nursing, Masters of Public Health and a PhD. A/Professor Hickman has been appointed and invited to sit on a number of internal and external industry committees and reference groups for clinical research and curricula. A/Professor Hickman is Editor-In-Chief, Contemporary Nurse. A/Professor Hickman's primary research focus and current research projects are in improving care in ageing, cardiovascular chronic disease, cognitive decline, dementia, palliative care and translational research that bridges the gaps between the acute care sector, community and residential aged care. 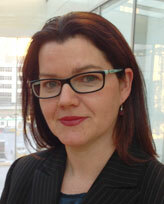 A/Professor Louise Hickman is Director of Studies Palliative Care Programs, IMPACCT Faculty of Health. In this leadership role A/Professor Hickman is responsible for the quality management; curriculum design and accreditation of a suite of dynamic clinically relevant palliative care postgraduate courses and programs from 2019 onwards. These courses (Master of Palliative; Graduate Diploma in Palliative care; Graduate Certificate in Palliative Care) are designed to address the significant need to build palliative care workforce capacity across the health care system. Heart disease is the leading cause of global mortality, accounting for 13.7 million deaths annually. Optimising depression and anxiety symptoms in adults with heart disease is an international priority. Heart disease secondary prevention is best achieved through implementation of sustainable pharmacological and non-pharmacological interventions, including meditation. Meditation is a means of generating self-awareness and has implications for enhanced self-management of depression and anxiety symptoms. This review aims to identify high-level quantitative evidence for meditation interventions designed to improve depression and/or anxiety symptoms among adults with heart disease and ascertain the most important elements of meditation interventions that facilitate positive depression and/or anxiety outcomes. This systematic review and narrative synthesis was completed in accordance with the PRISMA Statement and has adhered to the Cochrane Risk of Bias guideline. Six databases were searched between 1975 and 2017. Statistically significant outcomes were demonstrated in over half (5/9) of phase II meditation studies for depression and/or anxiety and involved 477 participants. Meditation interventions that generated positive outcomes for depression and/or anxiety included elements such as focused attention to body parts (or body scan) (3/4 studies) and/or group meetings (4/5 studies). Meditation is a means of reframing heart disease outpatient services towards an integrated model of care. Future adequately powered phase III studies are needed to confirm which meditation elements are associated with reductions in depression and anxiety; and the differential effects between concentrative and mindfulness-based meditation types among adults with heart disease. There is a need to improve cardiovascular nurses' knowledge and practices related to stroke prevention, atrial fibrillation and anticoagulation therapy.The aim of this study was to evaluate the efficacy of EVICOAG - a novel mHealth, smartphone-based, spaced-learning intervention on nurses' knowledge of atrial fibrillation and anticoagulation.Nurses employed in four clinical specialties (neuroscience, stroke, rehabilitation, cardiology) across three hospitals were invited to participate. In this quasi-experimental study, 12 case-based atrial fibrillation and anticoagulation learning scenarios (hosted by an mHealth platform) were delivered to participants' smartphones over a 6-week period (July-December 2016) using a spaced timing algorithm. Electronic surveys to assess awareness and knowledge were administered pre (T1) and post (T2) intervention.From 74 participants recruited to T1, 40 completed T2. There was a 54% mean improvement in knowledge levels post-intervention. The largest improvement was achieved in domains related to medication interaction and stroke and bleeding risk assessment. Post-intervention, those who completed T2 were significantly more likely to use CHA2DS2-VASc (2.5% vs. 37.5%) and HAS-BLED (2.5% vs. 35%) tools to assess stroke and bleeding risk, respectively ( P<0.01).The EVICOAG intervention improved nurses' knowledge of atrial fibrillation and anticoagulation, and influenced their uptake and use of stroke and bleeding risk assessment tools in clinical practice. Future research should focus on whether a similar intervention might improve patient-centred outcomes such as patients' knowledge of their condition and therapies, medication adherence, time in the therapeutic range and quality of life. Conventional treatments for cyclic perimenstrual pain and discomfort, while numerous and diverse, have drawbacks including side effects, interference with women's reproductive function and, importantly, failure to address symptoms. Many women turn to herbal medicine to treat a myriad of menstrual symptoms. Clinical evidence supports the efficacy of Vitex agnus-castus but other medicinal herbs typically used by Western herbalists for treating menstrual symptoms are unsupported by clinical trials. This raises concerns around the efficacy and safety of these herbs. Women's treatment options need to be extended and individualised, where current conventional strategies fail, requiring appropriate clinical trials of potentially useful herbal medicines. The nursing profession has a significant evidence to practice gap in an increasingly complex and dynamic health care environment.To evaluate effectiveness of teaching and learning strategies related to a capstone project within a Masters of Nursing program that encourage the development of evidence based practice capabilities.Systematic review that conforms to the PRISMA statement.Master's Nursing programs that include elements of a capstone project within a university setting.MEDLINE, CINAHL, Cochrane Database of Systematic Reviews, ERIC and PsycInfo were used to search for RCT's or quasi experimental studies conducted between 1979 and 9 June 2017, published in a peer reviewed journal in English.Of 1592 studies, no RCT's specifically addressed the development of evidence based practice capabilities within the university teaching environment. Five quasi-experimental studies integrated blended learning, guided design processes, small group work, role play and structured debate into Masters of Nursing research courses. All five studies demonstrated some improvements in evidence based practice skills and/or research knowledge translation, with three out of five studies demonstrating significant improvements.There is a paucity of empirical evidence supporting the best strategies to use in developing evidence based practice skills and/or research knowledge translation skills for Master's Nursing students. As a profession, nursing requires methodologically robust studies that are discipline specific to identify the best approaches for developing evidence-based practice skills and/or research knowledge translation skills within the university teaching environment. Provision of these strategies will enable the nursing profession to integrate the best empirical evidence into nursing practice. The nursing profession has a significant evidence to practice gap in an increasingly complex and dynamic health care environment. To evaluate effectiveness of teaching and learning strategies related to a capstone project within a Masters of Nursing program that encourage the development of evidence based practice capabilities. Systematic review that conforms to the PRISMA statement. Sample: Master's Nursing programs that include elements of a capstone project within a university setting. MEDLINE, CINAHL, Cochrane Database of Systematic Reviews, ERIC and PsycInfo were used to search for RCT's or quasi experimental studies conducted between 1979 and 9 June 2017, published in a peer reviewed journal in English. Of 1592 studies, no RCT's specifically addressed the development of evidence based practice capabilities within the university teaching environment. Five quasi-experimental studies integrated blended learning, guided design processes, small group work, role play and structured debate into Masters of Nursing research courses. All five studies demonstrated some improvements in evidence based practice skills and/or research knowledge translation, with three out of five studies demonstrating significant improvements. There is a paucity of empirical evidence supporting the best strategies to use in developing evidence based practice skills and/or research knowledge translation skills for Master's Nursing students. As a profession, nursing requires methodologically robust studies that are discipline specific to identify the best approaches for developing evidence-based practice skills and/or research knowledge translation skills within the university teaching environment. Provision of these strategies will enable the nursing profession to integrate the best empirical evidence into nursing practice. The objectives of this short report are to: (i) explore #Frailty Twitter activity over a six-month period; and (ii) provide a snapshot Twitter content analysis of #Frailty usage.A mixed-method study was conducted to explore Twitter data related to frailty. The primary search term was #Frailty. Objective 1: data were collected using Symplur analytics, including variables for total number of tweets, unique tweeters (users) and total number of impressions. Objective 2: a retrospectively conducted snapshot content analysis of 1500 #Frailty tweets was performed using TweetReach™ .Over a six-month period (1 January 2017-31 June 2017), there was a total of 6545 #Frailty tweets, generating 14.8 million impressions across 3986 participants. Of the 1500 tweets (814 retweets; 202 replies; 484 original tweets), 56% were relevant to clinical frailty. The main contributors ('who') were as follows: the public (29%), researchers (25%), doctors (21%), organisations (18%) and other allied health professionals (7%). Tweet main message intention ('what') was public health/advocacy (41%), social communication (28%), research-based evidence/professional education (24%), professional opinion/case studies (15%) and general news/events (7%).Twitter is increasingly being used to communicate about frailty. It is important that thought leaders contribute to the conversation. There is potential to leverage Twitter to promote and disseminate frailty-related knowledge and research. BACKGROUND:Pain is highly prevalent in all health care settings, and frequently poorly managed. Effective pain management is predicated on a continuous cycle of screening, assessing, intervening and evaluating. Identifying gaps in nurses' self-perceived pain assessment competencies is an essential first step in the design of tailored interventions to embed effective pain assessment into routine clinical practice, and improve patient reported pain outcomes. Yet, few validated instruments focus on the competencies required for undertaking a comprehensive pain assessment, with most focusing on clinician's pain management competencies. AIM:To examine the validity of the 'Self-Perceived Pain Assessment Knowledge and Confidence' (Self-PAC) Scale. DESIGN:Preliminary instrument validation. SETTING:Two Australian cancer and palliative care services. PARTICIPANTS/SUBJECTS:186 cancer and palliative care nurses. METHODS:The Self-PAC Scale was administered to participants online. Factor Analyses, including Exploratory and Confirmatory, were applied to examine the structural validity, Cronbach's alpha was calculated for internal consistency. Criterion validity was investigated by comparing responses from experienced and non-experienced nurses. RESULTS:Two components resulted with a single factor structure for pain assessment confidence and a two-factor structure for the knowledge of pain assessment. The factor loading for the subscales ranged from 0.653 to 0.969, with large proportions of the variances explained by the factors. Cronbach's alpha of the subscales ranged from 0.87-0.92 and significant difference in responses were found between experienced and non-experienced nurses. CONCLUSION:Preliminary validation of the Self-PAC Scale suggests that it is a helpful instrument for assessing cancer and palliative care nurse' pain assessment competencies. To examine the longitudinal change in Australian women's prevalence of cyclic perimenstrual pain and discomfort and the association between their symptoms and use of complementary and alternative medicine (CAM).Data on endometriosis, premenstrual syndrome (PMS), irregular periods, heavy periods, and severe period pain were collected over a 7-year period from the Australian Longitudinal Study on Women's Health, for women aged 28 to 33 years in 2006, and at 3-year follow-ups. Changes in symptoms and patterns of CAM practitioner and therapy/product use associated with these symptoms were analyzed using longitudinal regression modeling.Over the 7-year period, prevalence rates of PMS and heavy periods increased, while prevalence rates of endometriosis, irregular periods, and severe period pain remained stable. The most common use of CAM longitudinally associated with the perimenstrual symptoms was use of vitamins/minerals, yoga/meditation, massage therapy, herbal medicine, and aromatherapy. Excluding consultation with a naturopath/herbalist, over the 7-year survey women's use of all other CAM practitioners increased as did their use of vitamin/minerals, yoga/meditation, and Chinese medicines, while aromatherapy use declined.Only the prevalence of PMS and heavy periods increased with aging in this sample of women. While overall use of CAM practitioner and self-prescribed products/therapies increased over time, CAM was chosen by women mainly to treat endometriosis and PMS. The extent to which this use reflects treatment efficacy is uncertain. To explore the prevalence with which Australian Western herbalists treat menstrual problems and their related treatment, experiences, perceptions, and interreferral practices with other health practitioners. Members of the Practitioner Research and Collaboration Initiative practice-based research network identifying as Western Herbalists (WHs) completed a specifically developed, online questionnaire. Western Herbalists regularly treat menstrual problems, perceiving high, though differential, levels of effectiveness. For menstrual problems, WHs predominantly prescribe individualised formulas including core herbs, such as Vitex agnus-castus, and problem-specific herbs. Estimated clients' weekly cost (median = $25.00) and treatment duration (median = 4-6 months) covering this Western herbal medicine treatment appears relatively low. Urban-based women are more likely than those rurally based to have used conventional treatment for their menstrual problems before consulting WHs (p = .001). Only 19% of WHs indicated direct contact by conventional medical practitioners regarding treatment of clients' menstrual problems despite 42% indicating clients' conventional practitioners recommended consultation with WH. Western herbal medicine may be a substantially prevalent, cost-effective treatment option amongst women with menstrual problems. A detailed examination of the behaviour of women with menstrual problems who seek and use Western herbal medicine warrants attention to ensure this healthcare option is safe, effective, and appropriately co-ordinated within women's wider healthcare use. Background: There is a paucity of studies that have explored the association between dietary pattern and cognitive function, and whether there is an interaction between dietary pattern and hypertension in relation to older people's cognitive functioning. Methods: We analyzed data from the China Health and Nutrition (CHNS) survey. Dietary data have been collected since 1991, and cognitive function interview data were collected between 1997 and 2006. We analyzed ten years of data, including 4,847 participants with 10,658 observations (aged 55 years). Exploratory factor analysis was used to identify dietary patterns. Cognitive function measures include cognitive global scores and verbal memory scores. Linear mixed models were used to investigate the association between dietary patterns, hypertension and cognitive function. Results: Three dietary patterns were identified by factor analysis, named 'Traditional Chinese,' 'Protein-rich,' and 'Starch-rich' dietary pattern. A Protein-rich dietary pattern (high intake of milk, eggs and soymilk) was significantly associated with higher cognitive global scores and verbal memory scores, while the starch-rich dietary pattern (high intake of salted vegetable and legumes) was significantly associated with lower cognitive global and verbal memory scores. In addition, we found that participants with hypertension were independently associated with significant low cognitive function. Conclusion: The study reinforces the importance of diet in preventing cognitive decline among the older population. Identification of older populations who had hypertension should be targeted in intervention studies to maintain their cognitive health. Unrelieved cancer pain has an adverse impact on quality of life. While routine screening and assessment forms the basis of effective cancer pain management, it is often poorly done, thus contributing to the burden of unrelieved cancer pain. The aim of this study was to test the impact of an online, complex, evidence-based educational intervention on cancer nurses' pain assessment capabilities and adherence to cancer pain screening and assessment guidelines. Specialist inpatient cancer nurses in five Australian acute care settings participated in an intervention combining an online spaced learning cancer pain assessment module with audit and feedback of pain assessment practices. Participants' self-perceived pain assessment competencies were measured at three time points. Prospective, consecutive chart audits were undertaken to appraise nurses' adherence with pain screening and assessment guidelines. The differences in documented pre-post pain assessment practices were benchmarked and fed back to all sites post intervention. Data were analyzed using inferential statistics. Participants who completed the intervention (n = 44) increased their pain assessment knowledge, assessment tool knowledge, and confidence undertaking a pain assessment (p < .001). The positive changes in nurses' pain assessment capabilities translated into a significant increasing linear trend in the proportion of documented pain assessments in patients' charts at the three time points ((2) trend = 18.28, df = 1, p < .001). There is evidence that learning content delivered using a spaced learning format, augmented with pain assessment audit and feedback data, improves inpatient cancer nurses' self-perceived pain screening and assessment capabilities and strengthens cancer pain guideline adherence. © 2016 Informa UK Limited, trading as Taylor & Francis GroupBackground: Despite the decline in vaccine-preventable diseases, immunisation rates remain important. Nurses working in general practice (GPN) are often the first contact for childhood and adult immunisations and so impact vaccine provision. Aim: This study sought to describe the current immunisation practices and attitudes of GPN prior to attending the Nurse Immuniser Training Program. Methods: Prior to undertaking a Nurse Immuniser Training Program, registered nurses completed a survey describing their demographics, immunisation practice and attitudes to immunisation. Results: Ninety-five GPNs completed the survey. Approximately 98% of participants perceived vaccines to be safe, effective and necessary for child healthcare, while 56.4% of participants reported insufficient knowledge of the childhood immunisation schedule. The majority of participants' practices provided free influenza vaccinations for their general practitioners (GPs) (89.5%) and Practice Nurses (91.6%). However, only half of the participants had been immunised against influenza themselves in the previous three years. Conclusion: It is important for GPNs to be equipped with sufficient knowledge of immunisation to provide appropriate education and opportunistic intervention. However, nurses also need to be aware of their own vaccination status and its impact on their practice. in residential aged care is now provided by a largely unskilled and unregulated workforce. Anxiety is a serious affective mood disorder that affects many chronic heart failure patients. While there is ample evidence that depression increases hospitalisations and mortality in chronic heart failure patients, it is unclear whether this association also exists for anxiety.The purpose of this study was to report on prospective cohort studies investigating anxiety in chronic heart failure patients and its association with hospitalisations and mortality rates. This systematic review aims to improve the current knowledge of anxiety as a potential prognostic predictor in chronic heart failure populations.This systematic review adheres to the Preferred Reporting Items for Systematic Reviews and Meta-Analyses (PRISMA) statement. Studies were identified by accessing electronic databases Embase, Medline, Cumulative Index to Nursing and Allied Health Literature and PsycINFO. Studies were included if they: employed a prospective cohort study design, included chronic heart failure participants with a confirmed clinical diagnosis plus anxiety confirmed by a validated anxiety assessment tool and/or clinical diagnosis and reported longitudinal hospitalisation rates and mortality data in chronic heart failure.Six studies were identified for inclusion. A study investigating hospitalisations and mortality rates found a significant (p<0.05) association solely between hospitalisation and anxiety. Of four studies reporting on hospitalisations alone, only two reported significant associations with anxiety. One study reported rates of mortality alone and identified no significant associations between mortality and anxiety. There was some variation in quality of the studies in regards to their methodology, analysis and reported measures/outcomes, which may have affected the results reported.It is possible that anxiety does predict hospitalisations in chronic heart failure populations, however further research is required to confirm this observation. Complementary and alternative medicine (CAM) is used for treating cyclic perimenstrual pain and discomfort. This critical review examines women's reported CAM use, its perceived effectiveness and information relating to women's attitudes, behaviours, motivations and patterns of CAM use in its treatment MATERIAL AND METHODS: An extensive search of the main medical databases EBSCO, CINAHL, Medline, AMED and SCOPUS, as well as additional hand searches, was conducted. Papers included were confined to those that had been peer-reviewed, written in English and containing original research into CAM use for cyclic perimenstrual pain and discomfort amongst adult women RESULTS: CAM, particularly herbal medicine, nutritional supplements and massage, is widely used for a range of cyclic perimenstrual pain and discomfort symptoms. A large number of CAM modalities are adopted, often simultaneously and with little professional oversight. Women's assessment of efficacy of different CAM modalities is positive, though the majority of users are self-prescribing apparently without professional guidance. Although the uptake of CAM for cyclic perimenstrual pain and discomfort is wide-spread, little empirical data is available regarding which women are using CAM, their motivations for doing so and importantly the sources via which women receive information about CAM CONCLUSIONS: This review highlights the extensive use of (often self-prescribed) CAM in a number of countries to alleviate the widespread symptoms of cyclic perimenstrual pain and discomfort. An understanding of all health care utilisation by women with perimenstrual pain and discomfort is vital to help ensure safe, effective and coordinated health care that can lead to optimal patient outcomes. This article is protected by copyright. All rights reserved. The aim of this study was to estimate the prevalence and incidence of hypertension in women, and describe their self-care and health-seeking behaviours. This research was conducted as part of the Australian Longitudinal Study on Women's Health, a study comprising a nationally representative sample of Australian women in three age groups. The focus of this research is 14099 women born in 1946-1951, who have been surveyed six times (1996-2010). Student t-tests were used to compare women who did or did not have hypertension by their health-care utilization. Longitudinal analyses were conducted using a Poisson generalized estimating equation model. The incidence of hypertension among this cohort during 1996 to 2010 ranged from 400 to 597 participants per survey, resulting in an increase in prevalence of hypertension from 20.9% in 1996 to 41.3% in 2010. For all survey periods, women with hypertension had a significantly higher average number of visits to doctors and allied health practitioners compared with women without hypertension (P<0.005). The use of complementary medicine (practitioners and self-prescribed treatments) by women with hypertension was significantly lower compared to women without hypertension (P<0.005). Over time, conventional health-care utilization was higher for women with hypertension compared with women without hypertension (adjusted RR=1.18; 95% CI: 1.14, 1.22; P<0.0001). Our findings show that women with hypertension are using a range of conventional and complementary and alternative medicine: with hypertensive women using more conventional medicine and less complementary and alternative medicine than non-hypertensive women. As such, health-care providers should communicate with their patients regarding their use of complementary and alternative medicine in their efforts to provide safe, effective and coordinate care.Journal of Human Hypertension advance online publication, 28 April 2016; doi:10.1038/jhh.2016.20. This study aims to determine associations between consultations with complementary and alternative medicine (CAM) practitioners/use of self-prescribed CAM and menopause-related symptoms.Data were obtained from the Australian Longitudinal Study on Women's Health. Generalized estimating equations were used to conduct longitudinal data analyses, which were restricted to women born in 1946-1951 who were surveyed in 2007 (survey 5; n=10,638) and 2010 (survey 6; n=10,011).Women with menopause-related symptoms were more likely to use self-prescribed CAM but were not more likely to consult a CAM practitioner. Overall, CAM use was lower among women who had undergone hysterectomy or women who had undergone oophorectomy, compared with naturally postmenopausal women, and decreased with increasing age of postmenopausal women. Weak associations between CAM use and hot flashes were observed. Women experiencing hot flashes were more likely to consult a massage therapist (odds ratio, 1.09; 95% CI, 1.00-1.20) and/or use self-prescribed herbal medicines (odds ratio, 1.13; 95% CI, 1.03-1.23) than women not experiencing hot flashes.Consultations with CAM practitioners and use of self-prescribed CAM among naturally or surgically postmenopausal women are associated with menopause-related symptoms. Our study findings should prompt healthcare providers, in particular family medicine practitioners, to be cognizant of clinical evidence for CAM typically used for the management of common menopause-related symptoms in their aim to provide safe, effective, and coordinated care for women. Mixed methods research involves the use of qualitative and quantitative data in a single research project. It represents an alternative methodological approach, combining qualitative and quantitative research approaches, which enables nurse researchers to explore complex phenomena in detail. This article provides a practical overview of mixed methods research and its application in nursing, to guide the novice researcher considering a mixed methods research project. To describe strategies that can enhance the recruitment of rural-dwelling older people into clinical trials.Recruitment to studies can be time-consuming and challenging. Moreover, there are challenges associated with recruiting older people, particularly those living in rural areas. Nevertheless, an adequate sample size is crucial to the validity of randomised controlled trials (RCTs).The authors draw on the literature and their personal experiences, to present a range of flexible and inclusive strategies that have been successfully used to recruit older people into clinical trials.This paper describes attempts to improve recruitment of rural-dwelling, older Thai people to a clinical trial.To attract potential participants, researchers should consider minimising the burden of their study and maximising its benefits or convenience for participants. Three factors that may influence participation rates are: personal factors of participants, researchers' personal attributes, and protocol factors. In addition, three important strategies contribute to improving recruitment: understanding the culture of the research setting, identifying the 'gatekeepers' in the setting and building trust with stakeholders.Even though the study covered did not recruit a large number of participants, these understandings were crucial and enabled recruitment of a sufficient number of participants in a reasonable timeframe.These strategies may be of use in rural settings and with different communities including urban communities. To examine the association between self-prescribed complementary and alternative medicine use and menopause-related symptoms, stratified by menopausal status.Data were obtained from a cross-sectional survey of a nationally representative sample of 10,011 menopausal women from the Australian Longitudinal Study on Women's Health, conducted in 2010. Multivariable logistic regression models were applied to identify if the use of selected self-prescribed complementary and alternative medicine was significantly associated with a range of menopause-related symptoms.Vitamins/minerals were more likely to be used by natural menopausal women experiencing anxiety (adjusted OR=1.20) and/or stiff/painful joints (adjusted OR=1.16). Yoga/meditation was more likely to be used by women with hysterectomy (adjusted OR=1.76) or natural menopausal women (adjusted OR=1.38) experiencing anxiety. Herbal medicines were more likely to be used by natural menopausal women experiencing anxiety (adjusted OR=1.22), tiredness (adjusted OR=1.20), and/or stiff/painful joints (adjusted OR=1.17), and by women with oophorectomy experiencing tiredness (adjusted OR=1.45). Aromatherapy oils were more likely to be used by natural menopausal women experiencing night sweats (adjusted OR=1.25) and by women with hysterectomy experiencing anxiety (adjusted OR=2.02). Chinese medicines were more likely to be used by women with oophorectomy experiencing stiff/painful joints (adjusted OR=4.06) and/or palpitations (adjusted OR=3.06).Our study will help improve the patient-provider communication regarding complementary and alternative medicine use for menopause, and we conclude that menopausal status should be taken into account by providers for menopause care. The women's experience and motivations of such use warrant further research. Jackson, D., Hickman, L.D., Hutchinson, M., Andrew, S., Smith, J., Potgieter, I., Cleary, M. & Peters, K. 2014, 'Whistleblowing: An integrative literature review of data-based studies involving nurses. ', Contemporary nurse, pp. 5495-5513. Abstract Aim To summarise and critique the research literature about whistleblowing and nurses. Background Whistleblowing is identified as a crucial issue in maintenance of healthcare standards and nurses are frequently involved in whistleblowing events. Despite the importance of this issue, to our knowledge an evaluation of this body of the data-based literature has not been undertaken. Method An integrative literature review approach was used to summarise and critique the research literature. A comprehensive search of five databases including Medline, CINAHL, PubMed and Health Science: Nursing/Academic Edition, and Google, were searched using terms including: 'whistleblow*', 'nurs*'. In addition, relevant journals were examined, as well as reference lists of retrieved papers. Papers published during the years 2007-2013 were selected for inclusion. Findings Fifteen papers were identified, capturing data from nurses in seven countries. The findings in this review demonstrate a growing body of research for the nursing profession at large to engage and respond appropriately to issues involving suboptimal patient care or organisational wrongdoing. Conclusions Nursing plays a key role in maintaining practice standards and in reporting care that is unacceptable although the repercussions to nurses who raise concerns are insupportable. Overall, whistleblowing and how it influences the individual, their family, work colleagues, nursing practice and policy overall, requires further national and international research attention. Hickman, L.D., Mannix, J. & Neville, S. 2014, 'Is postgraduate education a luxury or necessity for professional nurses: A trans-tasman perspective', Archivio Italiano di Urologia e Andrologia, vol. 49, no. 1, pp. 2-3. Aims and objectives To explore the healthcare needs of older Arab migrants, focussing on Arab-Australians and their socio-cultural characteristics. To determine whether burnout, role ambiguity, or conflict affects Australian hospice volunteers. Aims and objectives To review community programmes promoting self-care or self-management for older people with chronic disease in Thailand. Background Identifying successful elements of culturally appropriate and effective community-based interventions to promote self-care with chronic illness is increasingly important. Design Integrative review. Data sources CINAHL, Medline, Health Source Nursing Academic databases. Methods Integrative review of peer-reviewed articles written between 19462012. Articles were included if they described self-care, self-management, chronic disease and community care interventions targeting older people in Thailand. Results Of the 58 articles retrieved, only 13 articles met the eligibility criteria. Elements of effective interventions included: (1) providing culturally sensitive information, (2) including approaches of shared decision-making and mutual goal setting and (3) flexibility within the intervention to adapt to participant needs. Conclusions Shared decision-making and mutual goal setting between interventionists and patients improved health behaviours and outcomes. Moreover, the flexibility to adopt the intervention to local characteristics demonstrated positive results. Background: For health-care professionals, particularly nurses, the need to work productively and efficiently in small groups is a crucial skill required to meet the challenges of the contemporary health-care environment. Small group work is an educational technique that is used extensively in nurse education. The advantage of group work includes facilitation of deep, active and collaborative learning. However, small group work can be problematic and present challenges for students. Many of the challenges occur because group work necessitates the coming together of collections of individuals, each with their own personalities and sets of experiences. Aim: This study aimed to identify challenges and benefits associated with small group work and to explore options for retaining the positive aspects of group work while reducing or eliminating the aspects the students experienced as negative. Method: Online survey; thematic analysis. Results: Over all, students experienced a range of challenges that necessitated the development of problem-solving strategies. However, they were able to elucidate some enjoyable and positive aspects of group work. Implications for teaching and learning are drawn from this study. Conclusion: The ability to work effectively in small groups and teams is essential for all health-care workers in the contemporary health environment. Findings of this study highlight the need for educators to explore novel and effective ways in which to engage nurses in group work. Abstract Aim: To summarise and critique the research literature about whistleblowing and nurses.Whistleblowing is identified as a crucial issue in maintenance of healthcare standards and nurses are frequently involved in whistleblowing events. Despite the importance of this issue, to our knowledge an evaluation of this body of the data-based literature has not been undertaken.An integrative literature review approach was used to summarise and critique the research literature. A comprehensive search of five databases including Medline, CINAHL, PubMed and Health Science: Nursing/Academic Edition, and Google, were searched using terms including: 'Whistleblow*,' 'nurs*.' In addition, relevant journals were examined, as well as reference lists of retrieved papers. Papers published during the years 2007-2013 were selected for inclusion.Fifteen papers were identified, capturing data from nurses in seven countries. The findings in this review demonstrate a growing body of research for the nursing profession at large to engage and respond appropriately to issues involving suboptimal patient care or organisational wrongdoing.Nursing plays a key role in maintaining practice standards and in reporting care that is unacceptable although the repercussions to nurses who raise concerns are insupportable. Overall, whistleblowing and how it influences the individual, their family, work colleagues, nursing practice and policy overall, requires further national and international research attention. Background: Pain is a complex multidimensional phenomenon moderated by consumer, provider and health system factors. Effective pain management cuts across professional boundaries, with failure to screen and assess contributing to the burden of unrelieved pain. Objectives To provide the first critical review of traditional Chinese medicine (TCM) use amongst symptomatic menopausal women, drawing upon work examining the perspectives of both TCM users and TCM practitioners. Methods A search was conducted in three English-language databases (MEDLINE, CINAHL and AMED) and three Chinese-language databases (CNKI, VIP and CBM Disc) for 2002-2013 international peer-reviewed articles reporting empirical findings of TCM use in menopause. Results A total of 25 journal articles reporting 22 studies were identified as meeting the review inclusion criteria. Chinese herbal medicine appears to be the most common therapy amongst symptomatic menopausal women, and vasomotor symptoms and emotional changes are the most frequent symptoms for which TCM is sought. However, evidence regarding the prevalence of TCM use and users' profile in menopause is limited. Existing studies are of varied methodological quality, often reporting low response rate, extensive recall bias and a lack of syndrome differentiation. Conclusions This review provides insights for practitioners and health policy-makers regarding TCM care to symptomatic menopausal women. More nationally representative studies are required to rigorously examine TCM use for the management of menopausal symptoms. Syndrome differentiation of menopausal women is an area which also warrants further attention. Hickman, L 2013, 'The resilient nurse: Empowering your practice', Contemporary Nurse, vol. 45, no. 1, pp. 144-144. The aim of the INHospital study was to compare the level of importance of care priorities and satisfaction levels with care among patients, carers, and nurse caregivers in the acute aged care setting. The INHospital study used sequential mixed methods approach for data collection. Survey data was completed within fi ve metropolitan acute aged care wards on patients (n = 78), their carers (n = 45) and nurses (n = 37). The caring activity scale (CAS) survey was administered to participants in order to determine and compare the perceptions of the importance and satisfaction of care. Semistructured interviews of patients (n = 7) and carers (n = 7) were conducted after completion of the CAS survey. This qualitative data aimed to probe more deeply into the patients and carers care priorities and satisfaction as measured in the CAS. The CAS data demonstrated that patients, carers and nurses rated implementing, observing and reporting doctors orders similarly, while differences between groups were observed in relation to prioritising physical and psychosocial care and discharge. There were signifi cant differences between patients, carers and nurses on overall importance (p = 0.001) and satisfaction with respect to nursing care (p = 0.001). Qualitative data generated fi ve themes (1) Nurses doing the best they can in challenging circumstances; (2) Achieving a balancing act in a pressured environment; (3) Striving to maintain and sustain independence; (4) The discharge process: not a shared priority; and (5) Challenges of the carer role. A key implication of this study is the incongruence between what patients consider a priority for care and the priority ascribed to those tasks by nurses. This study sought to identify and prioritise research issues as perceived by Australian general practice nurses. In this context, a research priority refers to the most pressing research problems that necessitate exploration to improve clinical practice. The majority of society's deaths occur in a health care environment. Regardless of whether a death occurs in acute care, hospice, residential aged care or community settings, nurses are the health professionals that will spend the largest proportion of time with the patient who has a terminal condition and their families. As few nurses have specialist palliative care qualifications it is essential that nursing education prepares graduates to achieve the core capabilities required for the delivery of best evidenced based palliative care. This reality makes the integration of palliative care content into the undergraduate nursing curricula an important priority. This paper aims to describe how palliative care content has been embedded throughout the three-year University of Notre Dame Australia, Sydney (UNDA) undergraduate nursing degree. Method: The School of Nursing at the University of Notre Dame Australia, Sydney campus is committed to ensuring that students graduate with the capabilities to deliver appropriate care to people with requiring end-of-life care. The establishment of this new School of Nursing coincided with the release of the 'The Palliative Care Curricula for Undergraduates Program' (PCC4U) learning resources. These resources have been integrated into relevant units across the three-year nursing curricula. The nursing curriculum has been design to supports the integration of palliative care knowledge into clinical practice. The Palliative Care Curricula for Undergraduates Program learning resources offer engaging palliative care case studies and scenarios for academics to utilise. Adopting an iterative approach where palliative care content is spiralled across multiple units provides opportunities for undergraduate nursing students to sequentially build and consolidate their palliative care capabilities. Background Many acute care facilities report endemic methicillin-resistant Staphylococcus aureus (MRSA), while others describe the occurrence of sporadic disease outbreaks. The timely implementation of effective infection control measures is essential to minimise the incidence of MRSA cases and the magnitude of disease outbreaks. Management strategies for the containment and control of MRSA currently vary between facilities and demonstrate varying levels of effectiveness. Objectives This review sought to systematically review the best available research regarding the efficacy of infection control practices in controlling endemic MRSA or MRSA outbreaks in the acute hospital setting. It updates an original review published in 2002. Search strategy A systematic search for relevant published or unpublished English language literature was undertaken using electronic databases, the reference lists of retrieved papers and the Internet. This extended the search of the original review. Databases searched included: Medline, CINAHL, EMBASE, Cochrane Library and Joanna Briggs Institute Evidence Library. Selection criteria All research reports published between 1990 and August 2005 in the English language that focused upon the infection control strategies that were implemented in response to either a nosocomial outbreak of MRSA or endemic MRSA within an acute clinical setting were included. Only studies that reported interventions which were implemented following the collection of baseline data were included. Data collection and analysis Two reviewers assessed each paper against the inclusion criteria and a validated quality scale. Data extraction was undertaken using a purposely designed tool. Given the heterogeneity of the interventions and outcomes measures, statistical comparisons of findings were not possible, therefore, the findings of this review are presented in a narrative format. Background: There is a lack of research investigating models of nursing care for older hospitalised patients that address the nursing needs of this group. Objectives: The objective of this study is to evaluate the efficacy of models of care for acutely older patients tailored to two contexts: an aged care specific ward and a medical ward. Design: This is a repeated measures design. Efficacy of the models was evaluated in terms of: patient and nursesâ satisfaction with care provided; increased activities of daily living; reduced unplanned hospital readmissions; and medication knowledge. Settings: An aged care specific ward and a medical ward in two Sydney teaching hospitals. Participants: There were two groups of patients aged 65 years or older who were admitted to hospital for an acute illness: those admitted prior to model implementation (n Â¼ 232) and those admitted during model implementation (n Â¼ 116). Patients with moderate or severe dementia were excluded. The two groups of nurses were the pre-model group (n Â¼ 90) who were working on the medical and aged care wards for the study prior to model implementation, and the post-model group (n Â¼ 22), who were the nurses working on the wards during model implementation. Methods: Action research was used to develop the models of care in two wards: one for an aged care specific ward and another for a general medical ward where older patients were admitted. The models developed were based on empirical data gathered in an earlier phase of this study. This paper aims to define what is meant by the term 'model of care' and document the pragmatic systems and processes necessary to develop, plan, implement and evaluate novel models of care delivery. Hickman, LD 2017, 'Coordinating care and teamwork' in Crisp, J, Douglas, C, Reberio, G & Waters, D (eds), Potter and Perry's Fundamentals of Nursing 5e, Elsevier, pp. 120-134. Phillips, JL & Hickman, L 2017, 'Preparing for practice' in Contexts of Nursing, Elsevier. Phillips, JL & Hickman, L 2017, 'Integrated care and multidisciplinary team work' in Daly, J, Speedy, S & Jackson, D (eds), Contexts of Nursing, Elsevier Australia, Sydney. Hickman, L & Disler, R 2015, 'Quantitative Research' in Navigating the Maze of Research Enhancing Nursing and Midwifery Practice, Elsevier. Davidson, PM & Hickman, L 2012, 'Managing client care' in Crisp, J, Taylor, C, Douglas, C & Rebeiro, G (eds), Potter and Perry's Fundamentals of Nursing 4th edition, Mosby Elsevier, Chatswood, Sydney, NSW, pp. 121-136. Rao, A, Zecchin, R, Newton, P, DiGiacomo, M, Phillips, J & Hickman, L 2018, 'Who drops out of cardiac rehabilitation programs (2007-2017)? ', European Society of Cardiology, Munich. Rao, A, Zecchin, R, Newton, P, DiGiacomo, M, Phillips, J & Hickman, L 2018, 'The significance of depression and anxiety in heart disease', Australian Cardiac Rehabilitation Association, Brisbane. Saliba, B, Ferguson, C, Neville, S & Hickman, L 2017, 'Cardiovascular risk in gay men: Implications for cardiovascular nurses', Australasian Cardiovascular Nursing College, Brisbane. Background: Gay men are approaching an impending epidemic of non-communicable diseases, particularly cardiovascular disease (CVD) and stroke. This can primarily be attributed to ethnicity/race, education and income, and/or modifiable risk factors such as lifestyle, obesity and hypercholesterolemia, smoking and illicit drug use. 1)	To describe the cardiovascular (CV) risk profile of gay men. 2)	To highlight key evidence-based health interventions to reduce CVD risk in gay men. 3)	Highlight the key barrier and facilitators to improving cardiovascular health of gay men. Methods: Researchers undertook a systematic search of electronic databases including Medline, Scopus, CINAHL and the Cochrane Library as well as manual reference list searches. Original studies that were published in the date range 2006-16 were included if they focused on CVD in LGBTIQ people, particularly gay men. Conclusion: This review identified a paucity of rigorous evidence to support interventions that improve cardiovascular care needs of gay men. Interventions that are targeted to improve the cardiovascular health of gay men must be tailored to meet the specific needs of gay men. There is scope for improvement in services that specifically target cardiovascular care needs of gay men in Australia and New Zealand. Ferguson, C, Hickman, L, Phillips, J, Newton, P, Inglis, S, Lam, L & Bajorek, B 2017, 'Exploring the acute care registered nurses' contribution in anticoagulation decision making for stroke prevention in atrial fibrillation', International Journal of Stroke, Stroke Society of Australasia, SAGE Publications, Queenstown, New Zealand, pp. 48-48. Ferguson, C, Hickman, L, Phillips, J, Newton, P, Inglis, S, Lam, L & Bajorek, B 2017, 'An mHealth intervention to improve nurses' atrial fibrillation and anticoagulation knowledge and practice: the EVICOAG study', International Journal of Stroke, Stroke Society of Australasia, SAGE Publications, Queenstown, New Zealand, pp. 9-9. Ferguson, C, DiGiacomo, M, Gholizadeh, L, Ferguson, L & Hickman, L 2016, 'The integration and evaluation of a social-media facilitated journal club to enhance the student learning experience of evidence-based practice: a case study', UTS Teaching and Learning Forum, Sydney. Rao, A, DiGiacomo, M, Newton, P, Phillips, J, Davidson, PM & Hickman, L 2016, 'Meditation as a secondary prevention strategy for heart disease: a systematic review', Australian Cardiac Rehabilitation Association Conference, Adelaide. Hickman, L, Phillips, JL, Newton, P & Davidson, PM 2015, 'Montreal cognitive assessment tool: feasibility in a heart failure population group', Australian Cardiac Nurses Conference, Sydney. Phillips, JL, Heneka, N, Hickman, L, Lam, L & Shaw, T 2013, 'The impact of a novel, online learning module on specialist palliative care nurses' pain assessment knowledge and practices', European Journal of Palliative Care, European Palliative Care Association Conference, Prague. Phillips, JL, Heneka, N, Hickman, L, Lam, L & Shaw, T 2013, 'Can a novel on-line pain assessment learning module improve specialist palliative care nurse's pain assessment knowledge? : Results from a pilot Spaced Education initiative', 16th CNSA Winter Congress, Brisbane Convention and Exhibition Centre, Queensland. Phillips, JL, Heneka, N, Hickman, L, Lam, L & Shaw, T 2012, 'Spaced Education in the Specialist Palliative Care Setting: exploring it's potential to improve pain management', 4th Biennial Palliative Care Nurses Australia Conference, Melbourne. Al Abed, N, Davidson, PM, Hickman, L, DiGiacomo, M & Jackson, D 2013, 'Older Arab Migrants: Between the Hammer of Prejudice and the Anvil of Social Isolation', 2nd International Conference on Ageing in a Foreign Land, Adelaide, Australia. Anuruang, S, Davidson, PM, Hickman, L & Jackson, D 2013, 'Integrative Review of Community Based Interventions to Promote Self-care/management for older people in Thailand', Sigma Theta Tau International's 24th International Nursing Research Congress, Prague, Czech Republic. Phillips, JL, Andrews, L & Hickman, L 2012, 'Factors predicting stays of over 30 days in patients dying in a specialist palliative care unit', 19th International Congress on Women's Health, Mahidol University Bangkok, Thailand. Phillips, JL, Hickman, L, Heneka, N & Shaw, T 2012, 'Can a novel on-line CPD program increase specialist palliative care nurses pain assessment capabilities and reduce patients' reported pain scores? ', WA Palliative Care Conference, Perth, WA. Phillips, JL, Heneka, N, Hickman, L, Lam, L & Shaw, T 2012, 'Enhancing interdisciplinary team pain assessment communication: Can Spaced Education improve comprehensive pain assessment practices in the specialist palliative care setting? ', Palliative Care NSW State Conference, Dubbo. Hickman, L, Kelly, H & Phillips, JL 2012, 'EVITECH: a pilot study exploring ways to optimise the uptake of evidence-based practice to undergraduate nurses', 23rd Research Conference, Sigma, Theta Tau International, Research Conference, Sigma, Theta Tau International, Brisbane, QLD. Phillips, JL, Hickman, L, Heneka, N & Shaw, T 2012, 'Assessing specialist palliative care nurses pain assessment capabilities: identifying opportunities to improve patient outcomes', 16th Cancer Nurses Society Australia Conference, Hobart. Anuruang, S, Davidson, PM, Jackson, D & Hickman, L 2015, 'Strategies to enhance recruitment of rural dwelling older people with hypertension into community-based randomised controlled trials study'. Hickman, L, Phillips, Newton, P & Davidson, PM 2014, 'Montreal cognitive assessment tool: feasibility in a heart failure population group'. Rao, A, Hickman, L, Sibbritt, D & Phillips, JL 2014, 'Palliative care patients may benefit from biofield (energy) therapies'. Phillips, JL, Shaw, T, Heneka, N, Hickman, L & Lam, L 2013, 'Specialist palliative care nurses pain assessment capabilities: results from a baseline survey'.